So you've bought a Bluetooth controller for your Android or Apple mobile device and you're probably wondering what you could play on your phone or tablet. Well, I'll give you some titles to get the fun started. I also bought a cheap $12 Mocute-050 controller, which is a very good deal for the price, nice looking, decently sturdy, but it's definitely no MOGA or MAD CATZ C.T.R.L. Before Rayman Adventures there was Rayman Jungle Run and Rayman Fiesta Run, which were both great mobile spin-offs of their bigger counterparts Rayman Legends and Rayman Origins. I found this game to be an amazing feat as it keeps the beautiful artistic design fresh with every level, it keeps the gameplay addicting and encouraged me to keep on playing with lots of challenges to be completed and overwhelming me with rewards. I had to start with Rayman Adventures because it was the most surprising game-changing experience for me. 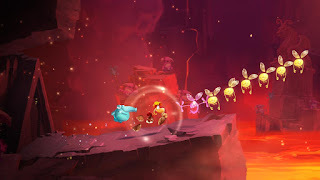 While I could barely control Rayman's energetic momentum with my fingers on the screen, connecting even my crummy gamepad gave me complete control of the character. That's a direct result of native controller support, therefore no more auto-running by swiping left or right. 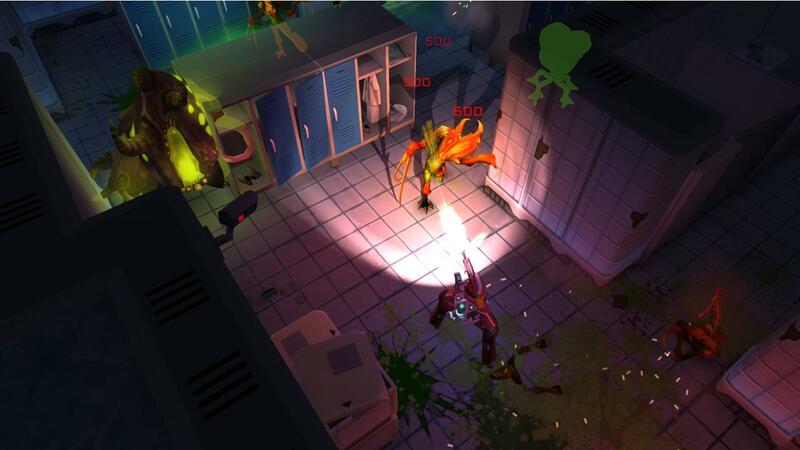 You'll reach hidden or tough areas with ease and get some awesome loot in no time. It's also good game overall, granted it's made by Ubisoft's best development teams at Montpellier. You should definitely give it a try, it's completely free. Unlike Rayman Adventures, Trouserheart is not a free game, but it's worth the bucks if you're into grindy top-down hack'n slashers. Hear me out, it's not that bad. 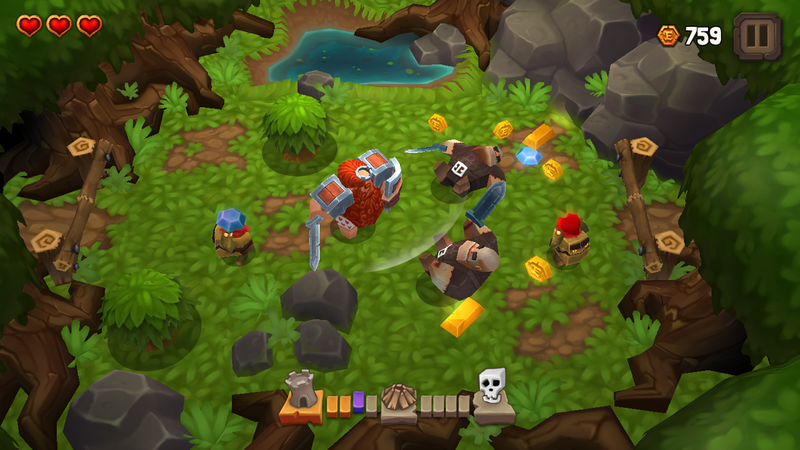 It's a funny game with a funny premise and it's all based on fun, slowly evolving combat mechanics, gathering loot and leveling up. 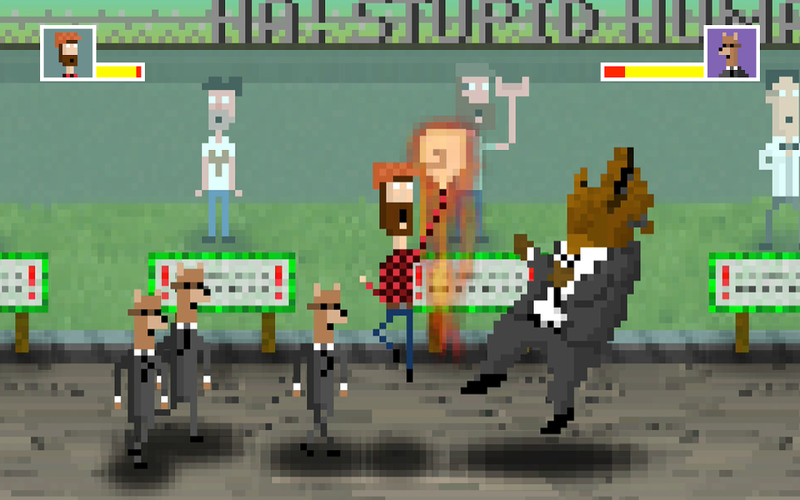 You play as a ginger ole' king taking a nap, when a bunch of mischievous gremlins steal your pants and riches. Thus starts the adventures of getting it all back. While you can easily play the game on the touchscreen of your device, I found the controller to be much more intuitive, much more responsive and made the game considerably entertaining. 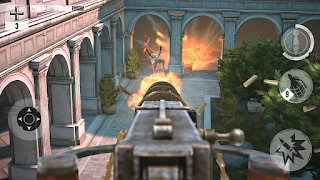 Made by mobile gaming veteran, Gameloft, formerly owned by Ubisoft, currently under Vivendi, Brothers in Arms 3 is the mobile alternative to one of Ubisoft's flagship shooter franchises. Gameloft made a name for themselves and provided the mobile market with surprisingly high production value games and, most importantly, almost all released as freemium products. In other words, they are very good at making games and they know how to take advantage of the "free to play" market. But... if you're willing to ignore blatant microtransactions and annoying ads, like most of us are used to, you'll get to play an enjoyable game with amazing graphics crammed inside a device so small. 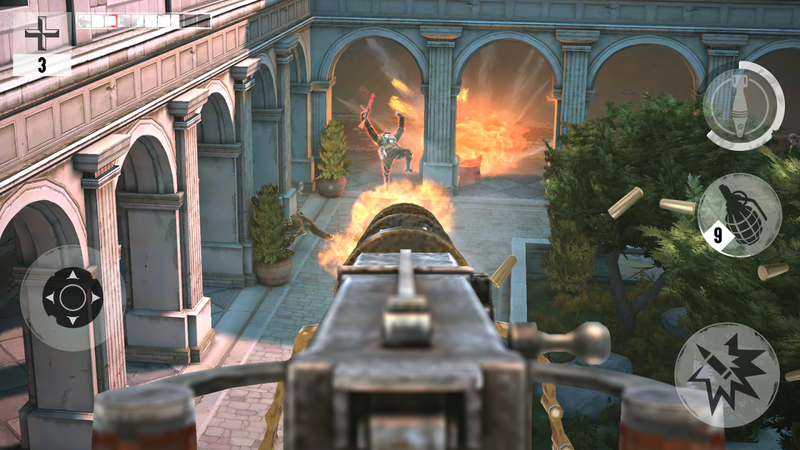 For me, shooters are just impossible to play with my fingers all over the screen, trying to focus on the action while also struggling with the camera and movement controls, not to mention taping other buttons, like grenades and other power-ups. With a controller, it's just as intuitive as a console shooter. It's no mouse and keyboard, and my controller has stiff analogue thumbsticks that need a bit of getting used to, especially when aiming, but it makes a huge difference. I know there's a Badland 2 already out, but I didn't try that game yet. I'm assuming since Badland plays sweet with a gamepad, there's no reason its sequel wouldn't work, right? 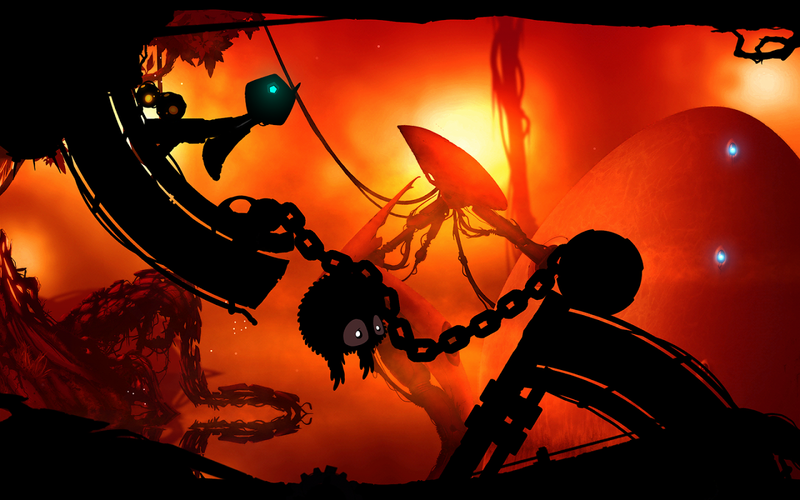 But how does Badland play? 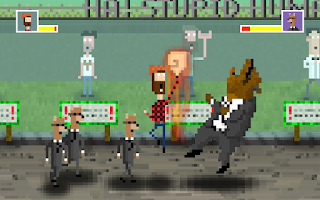 Fist of all, this is a very minimalist little game with a beautiful soul. The gameplay is easy, even without a controller. You tap on the screen to make the small dark creature flap its little arm and get around ever increasing difficult obstacles. Kinda like Flappy Bird, but actually good and creative. There's a weird alien world you need to traverse and get the small guy and preferably any friends you find along the way to the other side of the level. Does it play better with a controller? Yes, otherwise I wouldn't have made this list. All you have to do is tap a button, but at least you can enjoy the colorful background and get a well glance at the obstacles without your thumb blocking the screen. 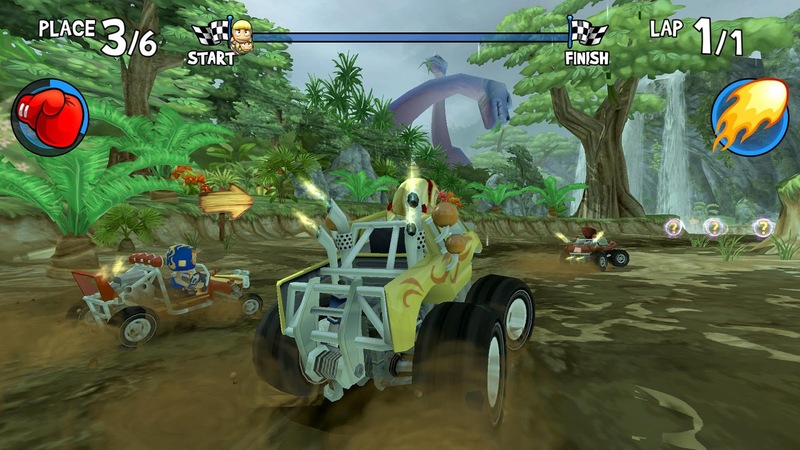 EA's take on the racing genre isn't anything new. Even if you're not a gamer, you surely heard about the popular Need for Speed series. Of course, EA brought NFS games to the mobile market as well, but they're either poor versions of their triple A counterparts, like Criterion's NFS Most Wanted and NFS Hot Pursuit, or they're a dumbed down freemium mess, like NFS No Limits - although it's filled with limits. 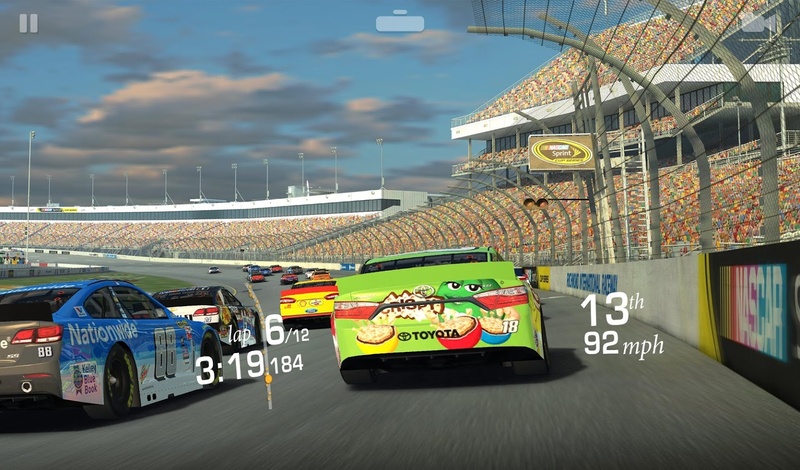 No, if you really want to play a serious racing game, try Real Racing 3. 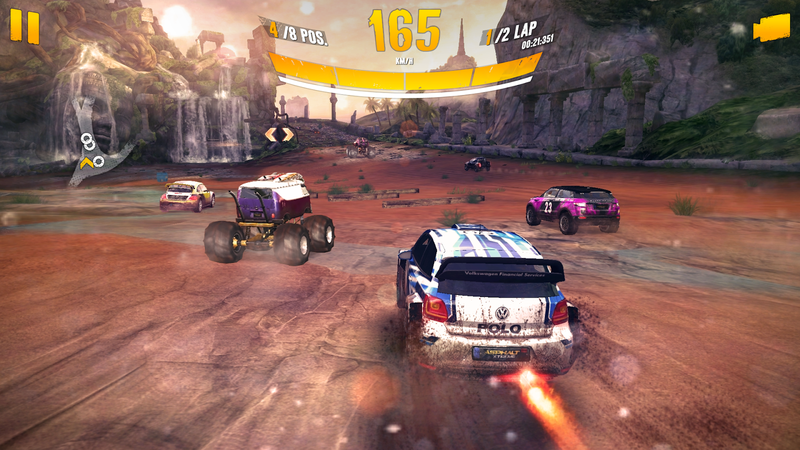 The graphics are wonderful for a mobile game and if you've ever played racing games with a gamepad you'll feel at home. 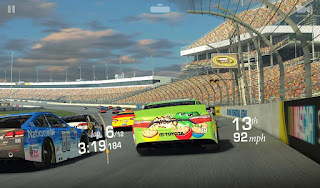 It plays kinda like a typical sim racing game, but that's obviously too complicated to be implemented on mobile, so you'll have a great time with the arcadey handling. In many ways, it's a lot like the Shift: Need for Speed games. One thing I found funny was that it detected my controller and decided to lay it out similar to Gran Turismo, meaning the acceleration is A instead of the right trigger, to which I'm very used to, personally. I can't stress enough that you'll notice how much better you'll be at any racing game on your mobile device with a controller. The best thing about this game is that it's free, and I've yet to see any limitations. There probably are microtransactions somewhere and I never got any ads in the couple of hours I've spent playing. This is not a game to miss if you wanna try some racing! 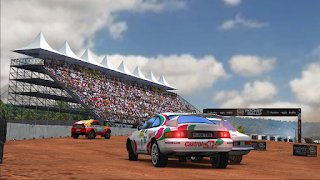 Another one in the series of racing games you'll see in this list is Pocket Rally. Like many of the mobile games, Pocket Rally is built on the Unity Engine, which is a versatile graphical engine that can create anything from realistic environments to retro pixel art levels, and can be optimized for any platform. 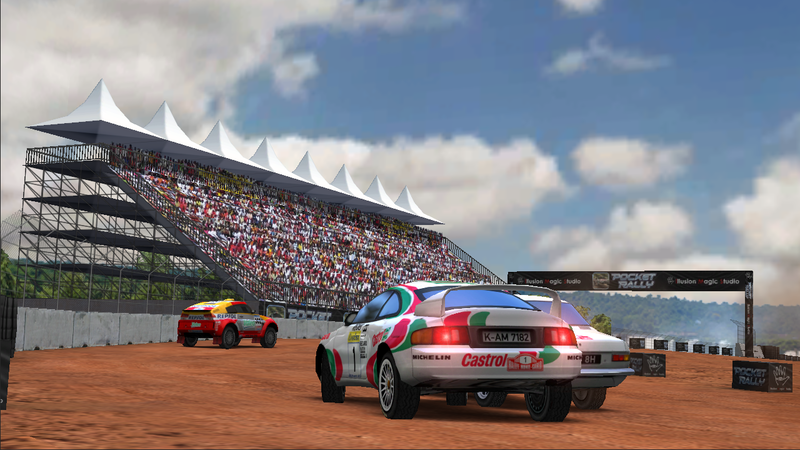 Pocket Rally is a very simple rally racing game made back in 2013, when Unity was just getting started. But with simplicity comes polish, in this case, as the Taiwan-based developer, Illusion Magic Studio, has made constant updates to their only game, improving it in many way, adding more cars and more tracks. Even more, there's a consistent options menu where you can configure your controller any way you want. There's even a "Lite" version of the game, which is a free version you can try before deciding if it's worth your money. If you think this game looks cheap, there's a rich substance under that modest appearance. At first I didn't want to include this game in the list, one reason being because it deemed my Asus Zenfone incompatible, and all I had to work with was my very weak Asus tablet, which apparently was compatible, but that was no way to play. This is not uncommon for Gameloft games, from my experience. But I managed to somehow make it install on my fairly powerful phone and I'm ready to give it my seal of approval. I've never been a fan of Asphalt games, tried them one by one, none could keep me around them for long. This time I'm really inclined on making it one of my favorite mobile games. 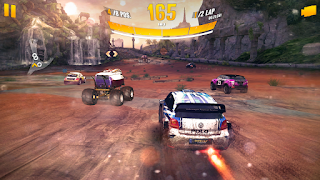 It has a slick interface, a smart freemium model, which is expected from Gameloft, and the racing is frantic and really fun, even if the tracks repeat more often than desired. The best thing about this game is the rich loot and progressing system. 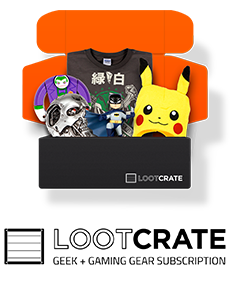 You buy a car and race for loot, which consists of upgrade items, event points and in-game currency. Obviously, it has a multiplayer mode and I do have to mention the settings, because it'll be a lot of help to many. 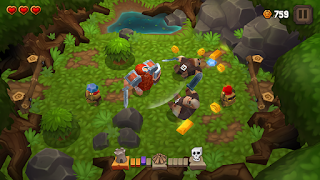 This is one of the few mobile games that has a graphical option which you can change between performance friendly, an optimized setting, and best a looking one for the best smart devices out there. But make no mistake, this game is a resource hog, although I have to admit it's one of the best looking racing games on mobile. As for the controller, it works as one would expect, intuitive and very responsive, eons better than smudging the screen. Give it a try, it's free and it has a good chance of making you a fan. Until Nintendo decides to bring Mario Kart on Google Play and App Store, I can promise you I've never seen something come close to it than Beach Buggy Racing. It's a fun arcade racing game with cartoony graphics, cool buggies to race in and fun power-ups. Mostly, it plays like a very good racing game, but it has that polished zany personality you won't find in any other game. If there's one thing I found weird while playing is that the game insisted on making the layout of my acceleration and brake to be on the shoulder buttons instead of the triggers, and since there's no way to change that on these games, what can you do. Again, it really depends on the controller. But other than that, the game handles amazingly well, it's a blast to play, and if I could give you an advice: play it on the hardest difficulty. It's also a freemium game, so you'll have a lot of great time with it while deciding if it's worth investing in the game. I've seen this free to play game for a while on the front of the Play store, but never cared much about top-down shooters. That all changed when I looked for some games to play with my controller. I actually thought this game would be a waste of time, but it's far from it. That should teach me not to judge a game by its.. cover. Seriously, this game is fantastic. Even with this cheap controller, this is an amazing twin stick shooter, it has nice, colorful graphics, dark enough to be spooky, and there's an obvious overall high production value to the game. Then I found out that this is from the makers (Pixelbite) of Space Marshals, which is an amazing tactical combat game that mixes sci-fi and western. It's no wonder the game is a blast to play. The controller does the job well, the game immediately detects it and you're ready to play. It's the best way to play this game, instead of sliding your fingers on the screen trying in vain to change the camera angle, just use the shoulder buttons. Are you kidding? Thank you for reading! I hope I was helpful and made you decide on some titles. Of course, as I already stated above, these are just the first 10 in a long series, hopefully. Next time, I'm planning to seek some unknown, some experimental, yet still amazing games you can play with a controller. Again, if you have any preferred titles you've enjoyed playing with a controller on your mobile device, I would love to know about it. Stay tuned!